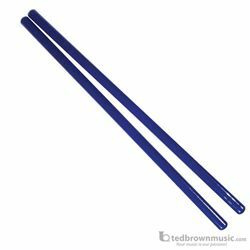 Set of 24 Individual Sticks with beautiful blue finish. Rhythm Sticks are made of fine northern hardwoods for maximum tone and tonal effect. Beautifully finished in hard, high-gloss enamel, the sticks are 14" long, with rounded ends.